Methamphetamine is a medication that is used as a stimulant. A more common form of methamphetamine is a strong, illegal street drug, called crystal meth. What are the Causes of Methamphetamine Overdose? What are the Signs and Symptoms of Methamphetamine Overdose? How is First Aid administered for Methamphetamine Overdose? 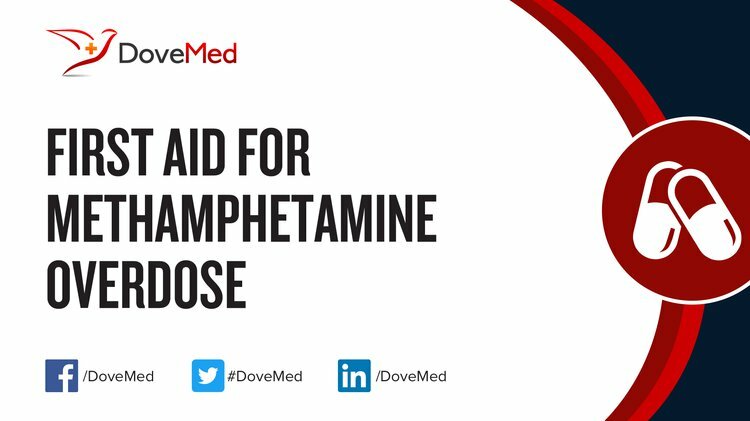 First Aid for Methamphetamine Overdose is administered by healthcare professionals. Who should administer First Aid for Methamphetamine Overdose? What is the Prognosis of Methamphetamine Overdose? How can Methamphetamine Overdose be Prevented? Callaghan, R. C., Cunningham, J. K., Sykes, J., & Kish, S. J. (2012). Increased risk of Parkinson's disease in individuals hospitalized with conditions related to the use of methamphetamine or other amphetamine-type drugs.Drug and alcohol dependence,120(1), 35-40. Cornish, J. L., Hunt, G. E., Robins, L., & McGregor, I. S. (2012). Regional c-Fos and FosB/ΔFosB expression associated with chronic methamphetamine self-administration and methamphetamine-seeking behavior in rats.Neuroscience,206, 100-114. Callaghan, R. C., Cunningham, J. K., Allebeck, P., Arenovich, T., Sajeev, G., Remington, G., ... & Kish, S. J. (2012). Methamphetamine use and schizophrenia: a population-based cohort study in California.American Journal of Psychiatry,169(4), 389-396. Vearrier, D., Greenberg, M. I., Miller, S. N., Okaneku, J. T., & Haggerty, D. A. (2012). Methamphetamine: history, pathophysiology, adverse health effects, current trends, and hazards associated with the clandestine manufacture of methamphetamine.Disease-a-Month,58(2), 38-89. Bagheri, M., Mokri, A., Khosravi, A., & Kabir, K. (2015). Effect of abstinence on depression, anxiety, and quality of life in chronic methamphetamine users in a therapeutic community.International journal of high risk behaviors & addiction,4(3). Callaghan, R. C., Cunningham, J. K., Sajeev, G., & Kish, S. J. (2010). Incidence of Parkinson's disease among hospital patients with methamphetamine‐use disorders.Movement Disorders,25(14), 2333-2339. Michael Owens, S., T Atchley, W., D Hambuchen, M., C Peterson, E., & Brooks Gentry, W. (2011). Monoclonal antibodies as pharmacokinetic antagonists for the treatment of (+)-methamphetamine addiction.CNS & Neurological Disorders-Drug Targets (Formerly Current Drug Targets-CNS & Neurological Disorders),10(8), 892-898. Marshall, B. D., & Werb, D. (2010). Health outcomes associated with methamphetamine use among young people: a systematic review.Addiction,105(6), 991-1002.